Are You a Candidate for Dental Implants in Colorado Springs? If you have one or more missing teeth, you’re often a candidate for implants. However, you may have underlying oral conditions or lifestyle habits that will increase the risk for implant failure. The perfect implant candidate will have good oral health that’s free from oral conditions and disease. But, even if you do have issues impacting your oral health, you may still be able to get implants. You’ll just need extra care. In some cases, there are conditions that make dental implants a dangerous option for you. For example, those with diabetes, cancer, and radiation to the jaw should not receive dental implants because the risk for implant failure is high. Those who smoke or consume alcohol also have a higher risk of implant failure because alcohol and tobacco decrease the body’s ability to heal correctly. Not to mention, those who smoke and drink are also more prone to infections. Periodontal disease is often a leading cause for tooth loss, resulting in the desire to have implants to resolve the damage. However, those with untreated periodontal disease may not be able to get implants because of the damage and infection caused from the disease. Periodontal disease causes destruction of the oral tissues, including the bone used to hold implants in place. If the disease is present, the implants won’t fuse to the bone correctly. The only way to determine if you’re a candidate for dental implants is to seek a consultation from an implant dentist. Your dentist will assess your current and past oral and overall health. In addition, x-rays and often 3D scans are taken to better understand the health of the mouth and if implants can be successfully placed. In some cases, based on the results of the images, factors may be present that are concerning. However, with the help of bone grafting and other procedures, you may still be able to benefit from implants. 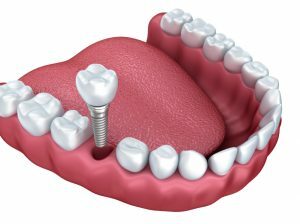 If you’re considering dental implants in Briargate or Colorado Springs, please call our office today at (719) 593-0988 to schedule a consultation. We will evaluate your oral health and individual needs to create a customized treatment plan to restore tooth loss. We’ll work with you to formulate a treatment plan to restore your quality of life and oral function.